If you are a Laravel (+Vue) developer you may have seen the new release to the Laravel ecosystem, the Laravel Nova Admin Panel. 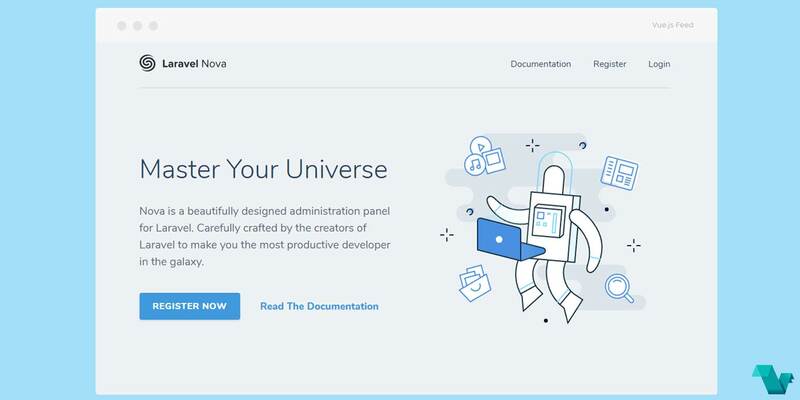 Nova is a sleek, single-page application built with Laravel and Vue.js. It's as smooth as silk and writing custom components is a cinch. Both the admin panel and website are utilizing Vue, which when added to Laravel can lead to exceptional results. See more at the detailed Documentation. Laravel Nova has a price, $99 for a solo developer and $199 for a team, which can be expensive but it is a solid investment. If you are looking for a quick look at setting up Nova and building a blog check out this post, Getting Started with Laravel Nova. For a more in-depth approach take a look at the following 2 posts, Deep Diving Laravel Nova and Improving Our Laravel Nova CRM all by @nickjbasile.